Thinking about starting your own property journey but want to avoid the mistakes? I got you covered! In 2012, I started my property investing journey from scratch with the goal of getting out of my 8-7pm job (I mean who actually works in the banking sector from 9-5 anymore – we’re all staying longer in our jobs these days right?) and so, my journey had me building up a multi-million pound property portfolio in 18 months! 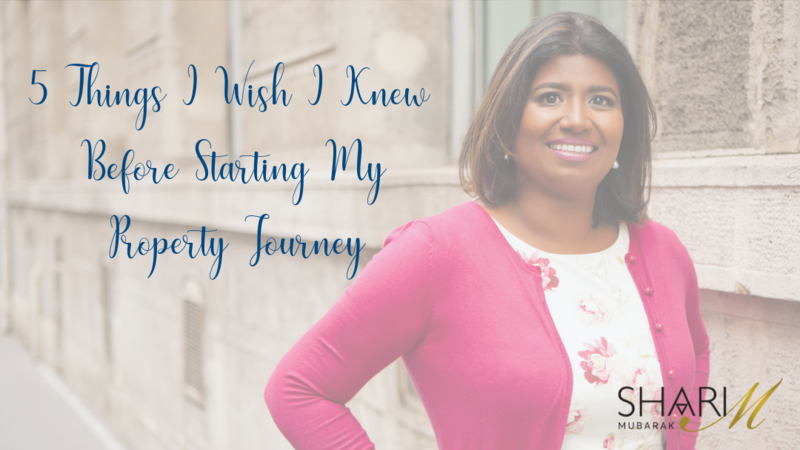 BUT – in my haste to do so, I made a bunch of mistakes that I wish I knew to look out for, before starting my property journey had I read a blog like this to start off with! I’m pretty sure I would have added more to my portfolio had I heeded these lessons! For as long as I can remember, I’ve always wanted to invest in property. I knew it was an asset that appreciates over time and I had seen properties in my area increase in value over the years. So I knew property investing makes sense. If you’re like me and enjoy watching property shows on TV, you would have watched Grand Design, Homes under the Hammer, DIY SOS, Location, Location, Location and wished that you could get into property investing too. As much as I had the dream to start, in reality I used time and money as excuses NOT to start. In fact, at certain points, I even started telling myself, maybe property investing is for other people, not people like me. And so it went on for about 10 years until I decided otherwise. In 2012, I became pregnant at the age of 40 and suddenly, everything changed! I became super clear about the fact that I did not want to be a corporate mum that only saw her child for approximately an hour before breakfast club drop off and a few hours post after school club and that possible reality…. That’s what really led me to look into property investing as a way of getting out of my job. So, if you’ve always had a desire to invest in property and are in the “Some Day” club – with property prices only increasing over time….ask yourself these questions: Why is important for me to invest in property soon? Really challenge yourself to get to the heart of the answer. Ask yourself a follow up question to ask a secondary why question like, Why is important for me to use property to get to (whatever reality you just answered) To move from a Some Day to To Day in property investing – you are either trying to get away from a painful future reality or aspire to a better future reality. And when you get clear about this – that’s when you start making things happen for you. Another big reason to get clear on your WHY is that it will act as a source of motivation for you on the days that you struggle to get to the tasks that you need to do to get to your first or next investment property. So what’s your big driver to starting your property investing journey? As I mentioned above, I knew I wanted to leave my corporate career so the next thing I did was work out how much income I needed to leave my job. So I started to buy properties that would get me to my magical number. But I wished I had taken the time to pull together a more detailed plan – that included narrowing the location, choosing one property strategy to get there and building a support team that was location based. Instead, I bought properties in Scotland, Wales and England and in multiple cities or towns and used a bunch of different property strategies along the way. I made it more difficult than it needed to be for myself. It would have been better to take more time upfront to develop a more detailed plan that had me calculate what range of properties that mapped exactly to the income I needed to leave my job. It would be far simpler to calculate needing X number of houses in 1 city using 1 property investment strategy and developing 1 team of mortgage brokers, sourcing agents, letting agents, builders and tradespeople. At the start of my property investing journey, I planned to buy small family homes to rent out as a single let and larger houses to rent out as a multiple let on a room basis. That’s as detailed as I got with my overall plans. When viewing a property, I discovered that I was looking for general things about the condition of the roof, boiler etc but overlooked certain things like whether parking was on-street or off-street. Living in London, not having a driveway was the norm not the exception. This is not so for homes outside of London, where more people drive and would prefer a driveway. And herein lies the lesson – take into account the location of your property purchase and develop a detailed ideal property investment that takes into account the type of people you would attract as tenants. What do they want and need in the type of property you’re looking to buy. Talk to agents in the area about what type of properties get rented out quickly – what do tenants look for? This helps you create a detailed ideal property investment checklist that becomes the template and you do not steer from it unless there is a change in tenant demands. Lesson #4: Always let the numbers do the talking! One of the key skills that any would-be property investor must learn is the ability to analyse the numbers and calculate the best price to offer and accept to purchase property. This is will allow you to make progress against your property plan in a steady and confident manner. In property, the rule is simple – if the numbers don’t stack up on paper then they’re not going to stack up in the medium term either. In which case, as an experienced property investor, you pass and wait on the next opportunity. There is no shortage of deals in the market so have confidence that a deal will come around whilst you carry on looking at properties. As a property investor in a hurry to achieve my dreams quickly, I have made one or two mistakes like rush and buy a property that was not the best price. I let my emotions get the better of me and I paid the price; that is I overpaid for a property. The downside to deals like that is you have to sit on the property longer and let the property appreciate over a longer period than expected. Not a problem if the property is in a location where there is a strong tenant demand, the property is in good condition and you don’t need to sell in a hurry. This brings me to a related point in property – never let your emotions run the show. As I mentioned earlier, being in a rush and not working to plan is not the best scenario to allow you to have the most profits. As part of your property assessment toolkit, you must have a property profitability analyser document that will allow you to calculate what is the likely net cash flow (which is the difference between rent received and expenses in relation to the property) and best offer price for purchases (based on condition of property, likely refurbishment costs to get it to rentable conditions and similar market values for that street or town). I feel so strongly on this point that I would say that you must not be investing in property until you develop this document and use it to guide you on your purchases. Phase 0: The money process – access your credit report, latest payslips and self assessment returns in order, and deposit and investment monies. In the early days, as I was slow to buy one property after another, I did not create systems for each phase but slowly built them up. Once I started buying multiple properties, I ramped up my systems for each phase to allow me to move faster in the process. However, there were times I had to slow down in some of the phases as I had not yet built the processes. So, if you think you would like to buy a number of properties in a year, invest the time earlier on to create the systems to support you and allow you to move faster in the cycle. I hope that this has given you an idea as to some of the things you should consider as you consider investing in property. If this has been of value to you, I would appreciate sharing this out to your friends and family via social media. If you have any questions or comments on the article above, please use the comments section to leave your message.